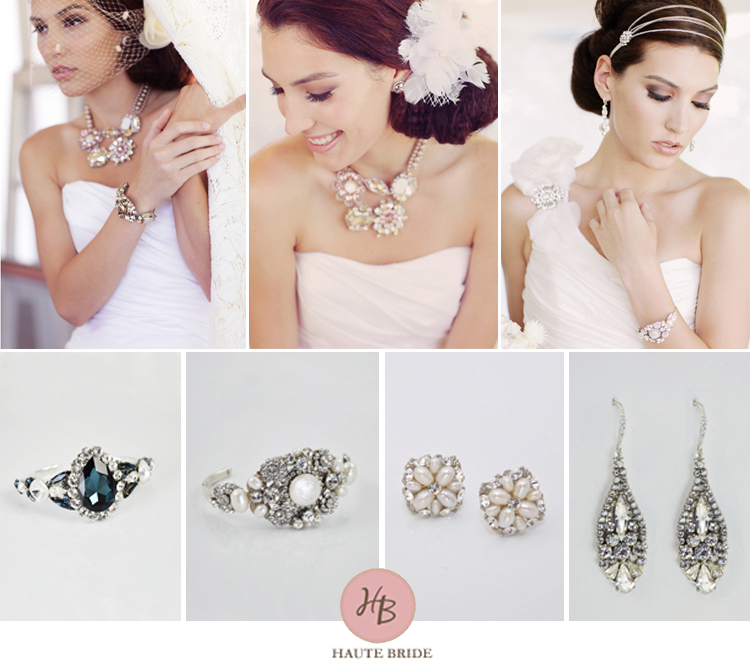 We can’t enough of these adorable accessories from Haute Bride! Their oh-so-chic designs are perfect for glitz and glam or a vintage and simple look. From brooches and hair jewels to cuffs and chandelier earrings, this fabulous collection of couture accessories is to die for! Find the perfect pieces for you and your maids locally at Patsy’s Bridal Boutique!